Property – Are there sunny skies ahead for the property market? Figures recently released show that the number of residential properties sold rose by 5% in 2012 to 932,000, the highest since 2007. No one should get too over-excited by this; that figure is almost exactly half the number of properties sold in the 2006-07 financial year and is a drop in the ocean compared to the 2.2 million that changed hands in 1988. However, one encouraging sign is that almost all this increase took place in the final quarter of the year as the funding for lending scheme (FLS) began to take effect. More money is being pumped into the FLS and the Council for Mortgage Lenders (CML) is predicting that the number of properties sold in 2013 should rise significantly once again. Both the Halifax and Nationwide are predicting that house prices will remain flat this year, but they could be wrong. Even if they are right, that is not the end of the world; rapidly rising prices can create just as many problems as rapidly falling ones. The important thing is that volumes are increasing and there is growing evidence that the mortgage rationing that has suppressed demand for the last four years is beginning to ease. I would think that increasing demand should feed through into at least modest price rises, particularly when you look at what is happening to rental costs. Although output in construction continues to fall, a lot of that is linked to cuts in government spending. Most large house builders are in rude health and laying out plans for major developments, helped by the relaxation of planning laws. If you feel the time has come to upsize or you are looking to take your first step on the property ladder, 2013 could be the year to do it. Mortgages are cheap and becoming more plentiful and there is an increase in the number of properties coming on the market. Why not give your friendly local estate agent (or better still 3 or 4 of them) a call and ask them for a valuation? Property – Is spring in the air for property market? Sutton Coldfield Property – Can you afford a sustainable home? I’ve recently watched the two episodes of Kevin’s Grand Design. Kevin McCloud, the Grand Designs presenter, has previously confined his efforts to observing other people’s attempts to build their dream home. Now he has put his money where his mouth is and has invested in a project to build 42 homes on a new development in Swindon. This development is not just about building a few houses; it is an attempt to build a sustainable “happy” community. Some of the houses are to be sold; can they be sustainable and still fetch the market price? The sustainable features differed from a standard new build in a number of areas. Each house would have a huge “chimney” which was in effect a ventilation shaft. All the houses would be rendered in “hempcrete,” a highly insulating material which is also carbon neutral. The lofts were insulated with sheep’s wool which is sustainable but also bulky and expensive. Other eco-friendly ideas included a boggy common area that would soak up rainwater, a communal allotment and the concept of parking your car in the garden so that it didn’t clutter up the shared area in front of the houses. The extra cost of the sustainable elements had to come off the budget in other areas; the kitchens were very cheap and nasty and there were no built in storage areas at all. The net result was that the houses earmarked for sale could not be sold at the break-even price of £160,000. As an estate agent trying to sell one of these houses a few years down the line, I’d have a number of problems. 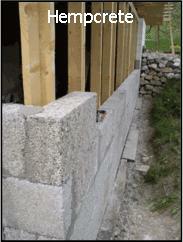 Hempcrete is an unproven product so any surveyor is bound to have issues with it. An upmarket kitchen invariably adds value and makes a house easier to sell. Family homes with no storage space are notoriously hard to shift and off road parking that takes up your garden is never going to work. I love Grand Designs but if I want a few tips on property developing I’ll stick to Sarah Beeny. Gardening – Rain Dance Anyone? ome would argue that our weather has never been the same since we started putting things up in space – including tons of metal ‘cans’ and the odd (and slightly reluctant) chimp and stray dog. Others would blame the wrath of the gods demanding some sort of sacrifice, or even an aberration of the sunspot cycle. I had this very debate only the other night in the local pub when, after much mirth and nine pints of foaming ale, it was finally decided that Wayne Rooney was the most likely culprit! As I write this, it is a gorgeous August day outside – perfect for lazing in a deck chair with an ice-cold drink and a decent paperback – but absolutely hopeless if you’re trying to nurture a newly planted border. I can’t remember the last time we had a consistent downpour to quench the ravenous thirst of my herbaceous borders. The Phlox and Helianthus are not looking good at all and most of the shrubs, such as Camellias, that enjoy a dampish root run are looking decidedly miserable. Clearly I’m not the only keen gardener lamenting the lack of rainfall this summer in Sutton Coldfield and the rest of the UK, the topic is probably second only to the re-launch of Big Brother in the ‘irrelevant conversation’ rankings. People are also talking about an early autumn this year – presumably because all their trees and shrubs are busy shedding leaves to help preserve any last vestiges of moisture. Realistically, it is a persistent drought that we are experiencing but, thankfully, in most cases the damage is normally only temporary and most plants should recover next season with few apparent problems. In much the same way as last winter’s devastation of anything slightly tender, where plants have been left in situ they normally show dramatic signs of recovery given time. The problem is what do we do in the future? Do we keep persevering with our typical English garden favourites, or do we throw the towel in and accept that we really have been “globally warmed? !” In that case, we might as well start stocking up on sun-lovers such as Lavenders, Cistus and a few Cactii for dramatic interest. Personally, I’m not convinced that our fair land will become the first European desert, but I do think that our weather has been ‘Wayne Rooneyed’ and we are in for more erratic and dramatic weather patterns. This shouldn’t mean that we necessarily have to change what we grow, but it will mean that we have to be more aware that we could get caught with our trousers down with intensely cold weather or, as is currently happening, longer periods of drought conditions. With a bit of judicial planning it will still be possible to garden the ‘English’ way and the use of organic matter in the soil, mulches and companion planting will certainly help fight the effects of reduced rainfall. Equally, by having the right sort of protection measures such as cloches and some rolls of horticultural fleece, we can save some of the more tender species, provided you remember to keep an eye on the weather forecast/ pine cone and don’t mind a bit of extra work to wrap your charges up nice and snugly! Apologies to anyone who thinks I’ve just joined the predictable ranks of the “English Weather Whingers” – I try to be a bit different but, when it comes down to the welfare of my precious plants, then I probably do get a tad defensive. Not sure if it would help but I may even go so far as enlist the local Druid faction to organise a proper Rain Dance – partners please! If you think about it, buying your dream home is about more than just finding the right house; it must also be in the right location, on the right plot and at a price you can afford. A common solution has been to buy a plot of land in the right location and then build a house on it that ticks all the boxes. However, suitable sized plots don’t come on the market very often in Sutton Coldfield and, when they do, they can be very expensive. More and more people are buying an existing property that is in the right location and on a suitable plot and then dramatically remodelling it. An example I found in Surrey was a four bedroom house with an attractive façade that was extended to become a very desirable eight bedroom home. The combined cost of the purchase and building work came in at £1.3 million and the owner now has the house of his dreams with a market value of £1.6 million. A more modest example in Nottinghamshire saw an unappealing 1970’s four bedroom detached home converted into a very striking, architect designed house. The design makes far more effective use of the internal space. The original house cost £260,000, the building work came in at £100,000 and the finished item is worth £420,000. There are a few things to beware of. 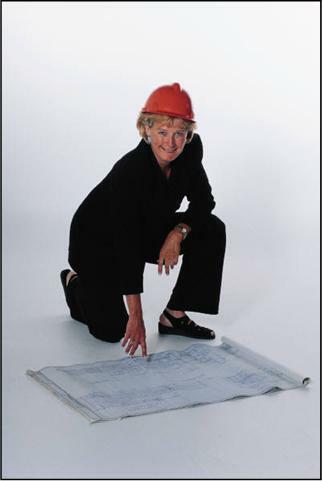 It is crucial to have an excellen t design – pick your architect carefully! Nor can you cut corners on the building work or the standard of finish and, of course, these things cost money. If the property is located in a conservation area, getting planning permission can be an issue. Finally, you need to remember that VAT will be payable on any building work you undertake whereas you don’t pay VAT when buying a house. But, if none of these things presents a problem, this is an excellent way to acquire the house of your dreams, not to mention making a profit in the process.